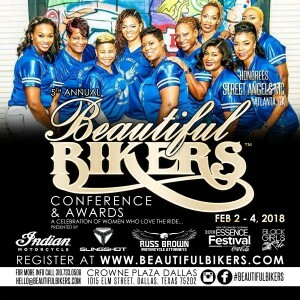 Beautiful Bikers Sports Rider of the Year: Erin Sills ‹ Black Girls Ride Magazine | Motorcycles, Accessories, Biker Fashion and Events for Women Who Ride! 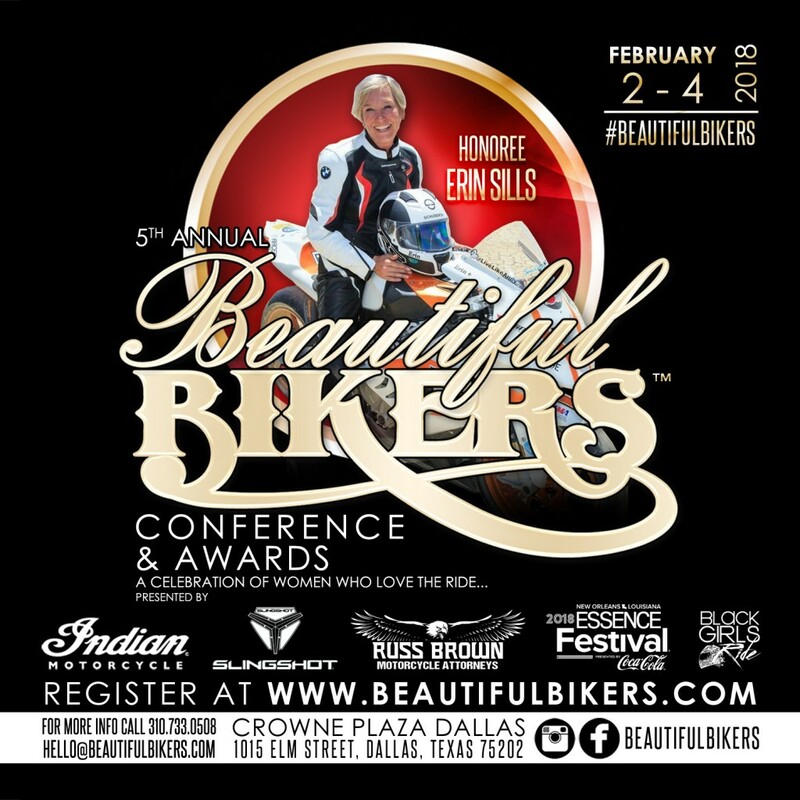 We are excited to announce Erin Sills as our Beautiful Bikers Sports Rider of The Year! As a +20-time World and National landspeed record holder and retired Facebook executive, Erin is very familiar with life in the fast lane. 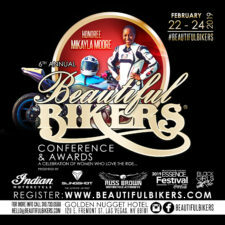 She’s been named the American Motorcyclist Association Female Athlete of the Year͟ for her motorcycling accomplishments and the American Marketing Association’s Woman to Watch͟ for her business accomplishments. 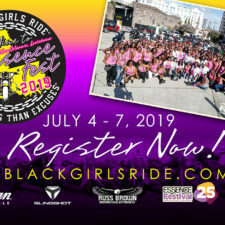 Erin and her team have set 2 Guinness Book World Records, and she a member of the Bonneville 200 mile-per-hour Club and the El Mirage 200 mile-per-hour Club, with her fastest record to-date of 219.3 mph. 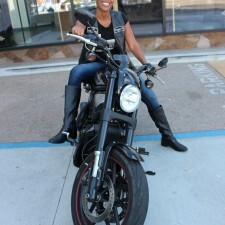 Erin is also an off-road adventure riding coach with RawHyde Adventures, training people how to ride big bikes in the dirt. In 2014, Erin was named University of Cincinnati, College of Business alumni of the year. 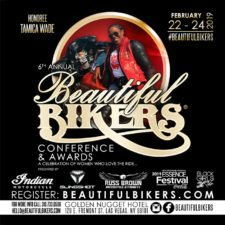 At heart she is an avid sport-touring traveler, having journeyed over 300,000 miles since she began riding at the age of 35. 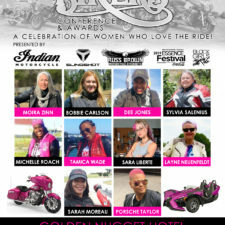 Erin also advocates for women in the sport of motorcycling and, with her late husband Andy Sills, she founded the sheEmoto Scholarship to support women in the sport. Erin is truly inspirational in her pursuit of her dreams! 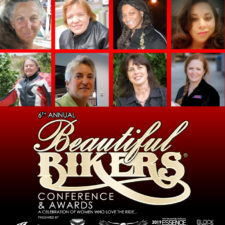 We are proud to add her to our Beautiful Bikers Legacy!